Southbend, a division of the Middleby Corporation, is recognized as a global leader in heavy-duty, commercial cooking equipment. 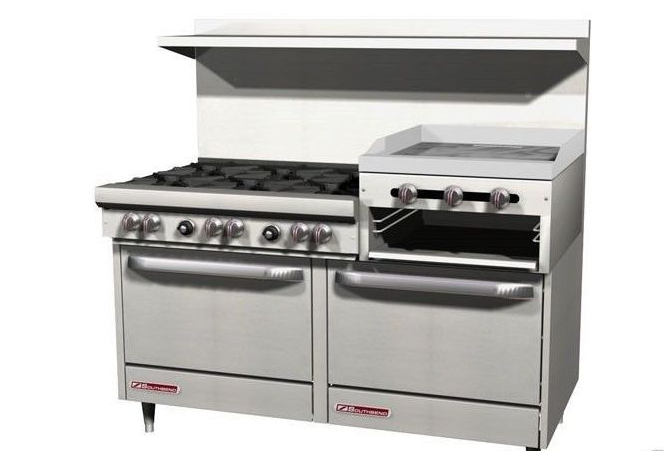 With perpetual new equipment innovations in the areas of energy savings, cooking speed, automation and safety, Southbend Cooking Equipment products are considered the best in the industry by chefs, consultants and industry experts. In 2005 Southbend achieved the prestigious “Best In Class” designation from Foodservice Equipment and Supplies, an honor voted on by industry peers. Southbend equipment–including ranges, steam equipment, countertop cooking equipment, convection ovens and other pieces–is installed in restaurants, institutional foodservice operations and supermarkets worldwide. Our 100+ years of top-quality and innovative products is a result of the unwavering Southbend commitment to the industry we serve, our customers and our employees. We are the most reliable manufacturer of quality cooking equipment and our streamlined processes and knowledgeable sales staff makes us an easy company with which to do business. The Middleby Corporation has five domestic manufacturing plants dedicated to producing innovative equipment for the hot side of the commercial kitchen. Southbend works closely with these divisions to give customers the best quality product and the latest cooking technology.